Republican candidates for the 2016 race for the White House now have another competitor. 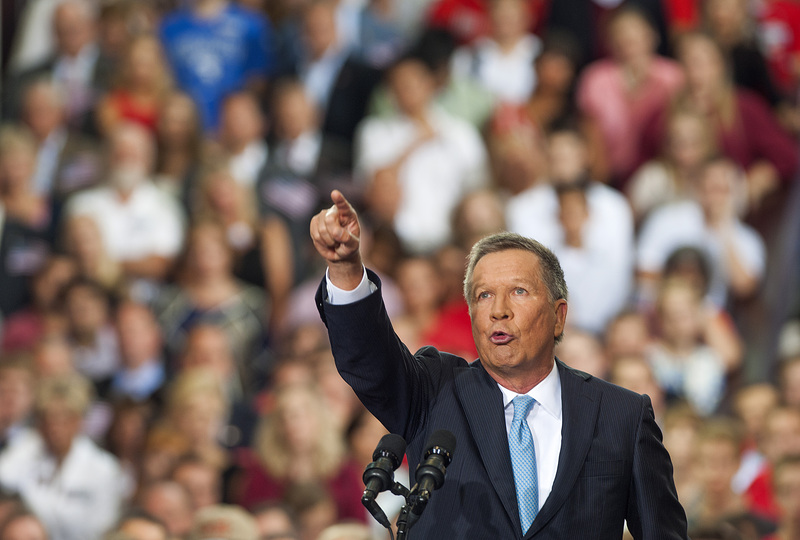 John Kasich announced his candidacy on Tuesday at Ohio State University, his alma mater. The Ohio governor will have to get a lot of attention to compete with bigger names, such as Jeb Bush and Donald Trump. But if these terrible quotes from Kasich are any indication, it seems like his campaign will likely struggle with his offensiveness. Kasich's announcement speech hit on economic, health care, and student debt issues, and he also made sure to mention his experience working under Ronald Reagan, which is a glistening Republican resume to have, along with being from Ohio, a swing state. "The sun is rising, and the sun is going to rise to the zenith in America again. I promise you," he said. I don't need your people. If you’re not on the bus, we’ll run over you with the bus. And I’m not kidding. The real question journalists of every stripe should be asking is, "Am I pimping this story or am I reporting this story?" I don’t know about you, lady, but when I get to the pearly gates, I’m going to have an answer for what I’ve done for the poor. The Atlantic's Molly Ball wrote a feature article on Kasich's prickly personality. She spent several days with him, and he made it a point to tell her that neither he nor his wife read the magazine, according to her story. He also said that her job writing about politics was "a really dumb thing to do." He's an idiot! We just can't act that way. What people resent are people who are in the government who don't treat the client with respect.